Born on this date in 1892, Hobart Amory Hare "Hobey" Baker was considered he first American star hockey player. 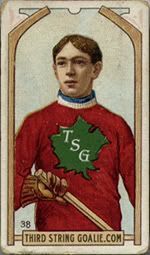 He hailed from Philadelphia and enrolled at Princeton University in 1910, where he played for both the hockey and football teams. 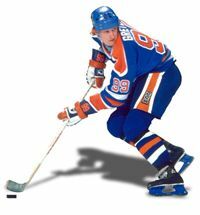 He was considered one of the best athletes of his time, showing immediate skill in hockey, football, golf, baseball, tennis, swimming and track. 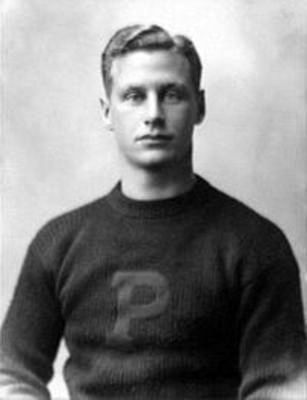 While at Princeton he would win a national championship in 1911 as a halfback with the football team and in 1912 and again in 1914 with the hockey team, where he was known as a fast and agile skater. Sportswriters in Philadelphia referred to him as "the blond Adonis of the gridiron", thanks in part to the fact he played football without a helmet! Baker set a school record with 92 points in 1911, a record which stood for 63 years. In 1913 he was named captain of the team for his senior year. While statistics were not kept during Baker's time at Princeton, it's been estimated that he scored over 120 goals and 100 assists in three years, an average of nearly 4.5 goals per game and more than 3 assists per game. 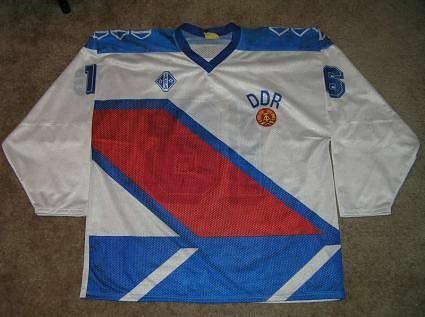 Aside from his offensive skills, he was also well known for his sportsmanship and gentlemanly play, being called for only a single penalty during his entire college career and known for visiting the opponents dressing room after every game to shake hands with each player. He concluded his football career at Princeton with a 20-3-4 record and his hockey career with a 20-7 mark. 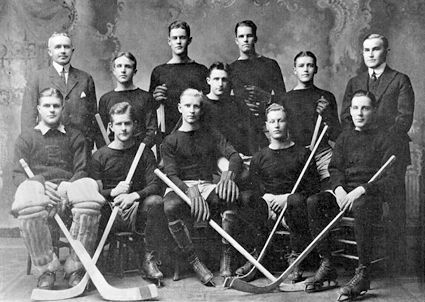 After graduating in 1914, Baker would win a national amateur championship with the St. Nicholas Hockey Club in 1915. So well known was Baker by this point that the marquee at the arena would read "Hobey Baker plays tonight." 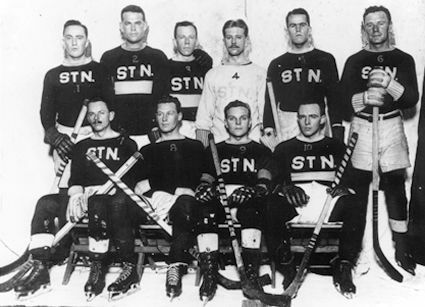 While with the St. Nicholas club, Baker turned down a $20,000 offer to play for the Montreal Canadiens, as it was frowned up at the time to for someone of his stature in society to play sports for money. Following his graduation from Princeton, Baker worked for a time in New York and took up aviation as a hobby, including once leading a squadron of a dozen planes over the Princeton football stadium before landing his plane on the football field! He then enlisted in the United States Army Air Service. While serving in Europe during World War I, Baker rose to the level of captain and was named commander of the 141st Aero Squadron, where he had the planes painted in Princeton's black and orange and adopted a tiger as the squadron logo. In 1918, while Baker was test piloting a recently repaired plane, it crashed, killing him just hours before he was due to leave France and return home to the United States. Baker was so highly regarded that he was the only American in the Hockey Hall of Fame's inaugural class of nine inductees in 1945 as well as one of the first group of inductees into the United States Hockey Hall of Fame in 1973. 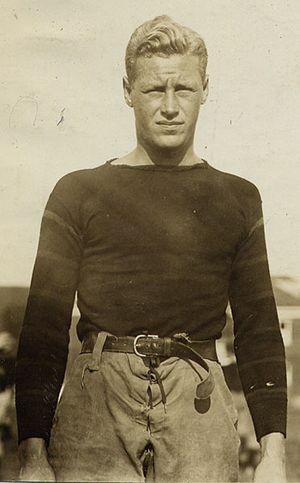 Two years later, Baker was inducted into the College Football Hall of Fame, making him the only person to be inducted into both the Hockey Hall of Fame and College Football Hall of Fame. 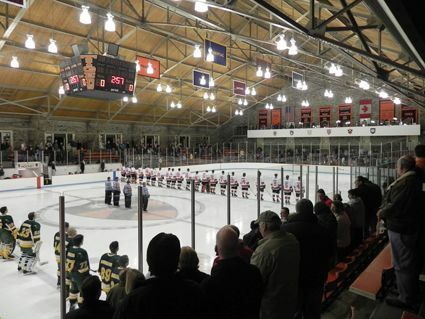 In 1921, Princeton named it's new arena the Hobey Baker Memorial Rink, which is still used by the Tigers and currently the second oldest arena in American college hockey. 1980 would see the NCAA introduce the Hobey Baker Award, given annually to the best college hockey player in the United States. 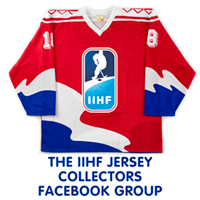 Today's featured jersey is a 1911-12 Princeton University Hobey Baker jersey. 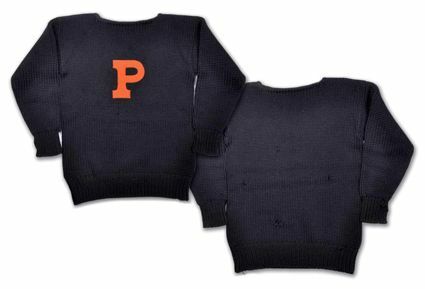 This wool sweater is identical to the ones worn by the Tigers during team photos in 1912 and 1914, with it's orange P logo on the chest. 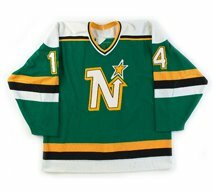 It differs from the university's football jerseys of the day, which had v-neck collars, as the hockey team used round neck collars, a lesson in paying attention to details when trying to authenticating jerseys, or in this case, a sweater. Today's first video is about Baker and the Hobey Baker Award. Next up are a pair of biographies of Baker, both very well done.